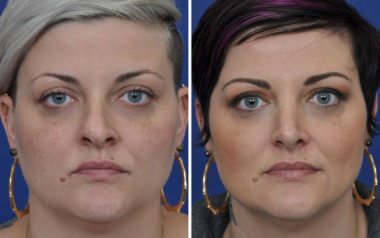 Our rhinoplasty procedures are performed by Annapolis plastic surgeon, Dr. Bryan Ambro, who has performed over 1,000 primary and revision rhinoplasty procedures. 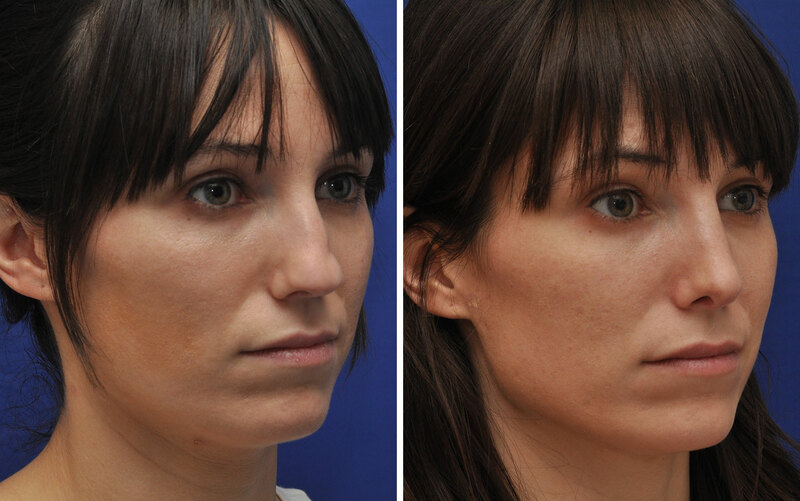 When looking to achieve the best possible rhinoplasty result, an experienced surgeon is a great place to start. The nose also plays a critical functional role in breathing. Obstructed nasal breathing can be due to an old nasal fracture, deviated septum or collapsed nasal valve that may contribute to snoring, restless sleep, and decreased exercise tolerance. Functional rhinoplasty is recommended to correct these structural problems, which are typically covered by medical insurance. 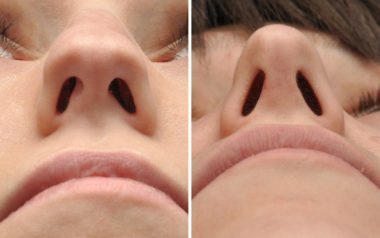 It is not uncommon to have these breathing improvements performed in conjunction with cosmetic refinements in order to achieve a nose that breaths and looks fantastic. 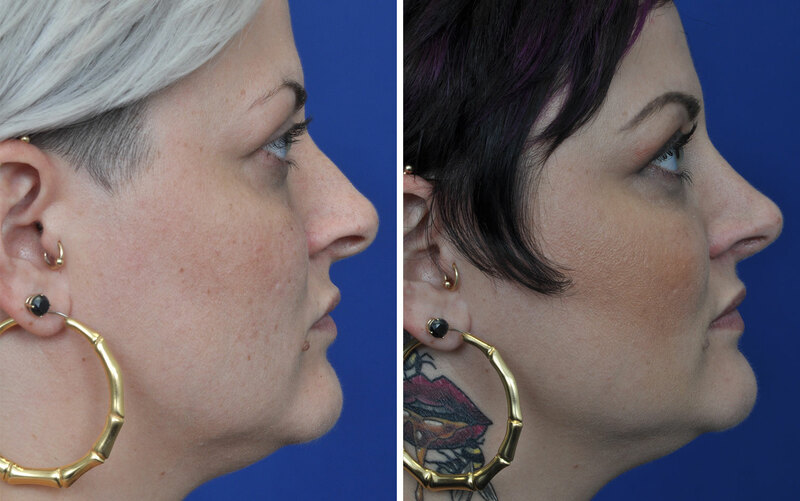 Dr. Ambro performed a septorhinoplasty on this patient to improve the cosmetic appearance of the nose, as well as correct nasal obstruction and improve breathing. Our rhinoplasty procedures are typically performed by Dr. Bryan Ambro under general anesthesia at our comfortable and convenient surgery center in the Sajak Pavilion at the Anne Arundel Medical Center in Annapolis. There are a variety of techniques that Dr. Ambro performs for rhinoplasty. This may involve either an open or closed surgical technique. For the open surgery technique, an incision is made to expose the bone and cartilage, which is then reshaped for a more aesthetic appearance. A closed rhinoplasty involves making incisions on the inside of the nostril, generally this technique is for more minor revisions. All incisions will be placed in well-hidden areas and meticulously closed with dissolvable sutures. The technique that is chosen is done on an individualized basis so that the best, most naturally appearing result can be achieved. 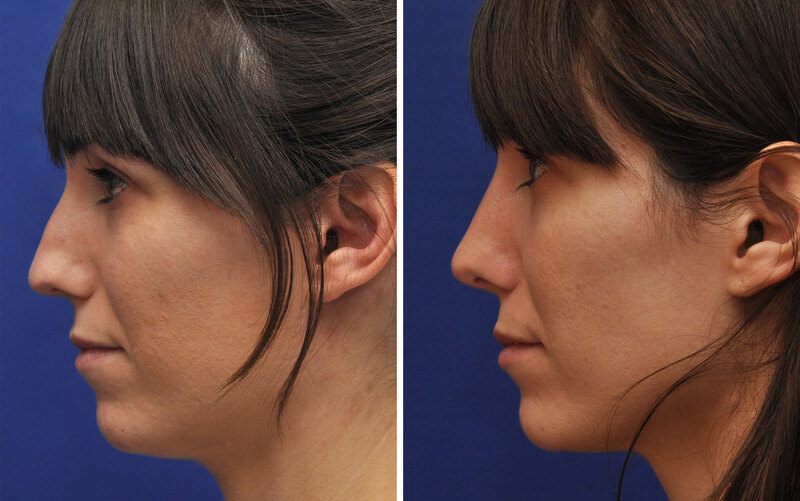 We recommend that patients take a week off from school or work after having a rhinoplasty procedure. An external splint/cast will be placed on the nose to aid in healing and is removed 5-7 days after the procedure. It is common to experience swelling and/or bruising that will gradually decrease over 1-2 weeks. I had a nose job from another doctor, but I’m unhappy with the results, what can I do? Dr. Ambro offers revision rhinoplasty to reshape the nose after a previous rhinoplasty procedure either to improve the cosmetic outcome and/or breathing function. It is generally recommended that you wait 6-12 months from the time of your first surgery before having a revision procedure. 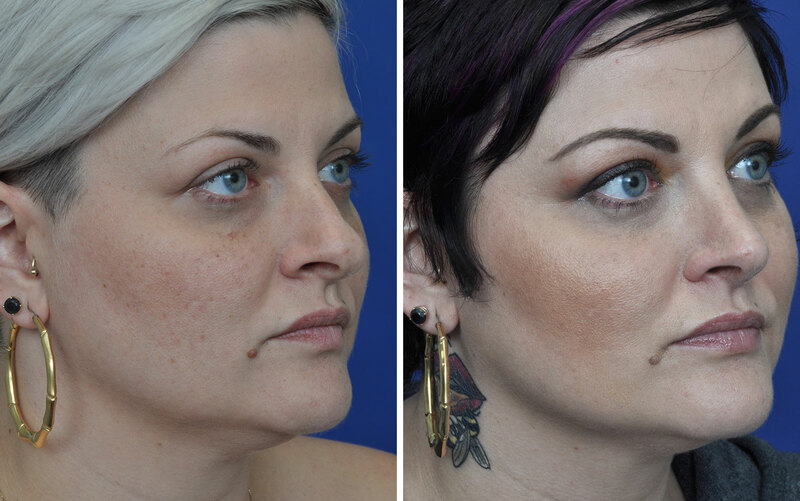 The cosmetic aspects of a rhinoplasty procedure are not covered by medical insurance. However, your insurance may cover the cost of the reconstructive portions of procedures, which are performed to improve breathing function. We will handle any of the necessary billing components to ensure that you receive your maximum insurance benefits towards your procedure. The length of surgery varies from one patient to another, but generally ranges from 2-4 hours. You will remain at our surgery center under supervision until you recover from the anesthesia. The septum is made of bone and cartilage and is what separates the nose into two chambers. In some cases, the septum is not straight and can be “deviated” or “crooked”. This misalignment can cause an obstruction in the nasal passages and cause difficulty when breathing. 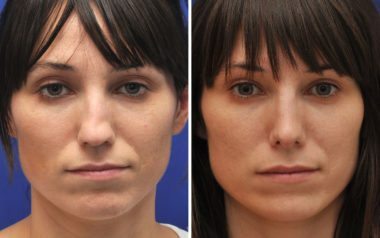 A septoplasty is a procedure performed to correct a deviated septum and a septorhinoplasty is when a septoplasty is performed in conjunction with a rhinoplasty.